When preparing for this year's KISSMAS in JULY episodes, we wanted to dig in and talk to some people that were first-hand witnesses to KISS' rise to stardom. This week's guest not only witnessed it; he helped make it happen. Peter Oreckinto, or "Moose" as he's known in KISS circles, was brought into the KISS family very early in the band's history. 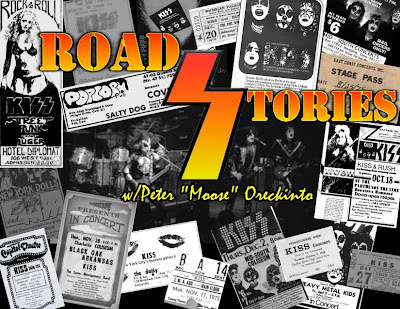 Having a background in theater, as well as pyrotechnics, Oreckinto was tailor-made for his job as a member of the early KISS road crew; and what a crew it is. Setting up and tearing down a KISS show these days is a task of military precision, with a military-sized crew handling the job. But back in the early days of the band, the KISS road crew were a tight-knit group of guys that worked tirelessly to help assemble the ladder that the band would use to go on to bigger success. The amount of blood, sweat, and tears that went into working for KISS in those early days is not to be underestimated. In this discussion, Oreckinto shares what it was like barnstorming the country with a group of 4 struggling New Yorkers that were out to see the world for the first time. It was doubly hard for KISS' crew in those days due to the ridicule they would endure from rival crews as well as the attitudes they would run into due to KISS routinely blowing the headliners off the stage with their wild stage shows. It's well-known that Bill Aucoin financed a lot of KISS' early road expenses on his American Express cards. What you may not know is there were other forms of financing for the band in those early days; and not at all in the cleanest sense. During this conversation, Oreckinto reveals some "family" ties to the KISS organization and how not keeping a certain promise led to some near-death incidents that threatened the lives of the band and their crew. KISS' early tours were scatter-shot affairs that were known as "dart board" tours due to the crazy nature of travel routing. In this discussion, Oreckinto shares what it was like to cover thousands of miles between gigs, crisscrossing the United States on very little money, and even less sleep. KISS also had to tour with a wide variety of acts for different reasons including being thrown off tours for upstaging the headline acts. 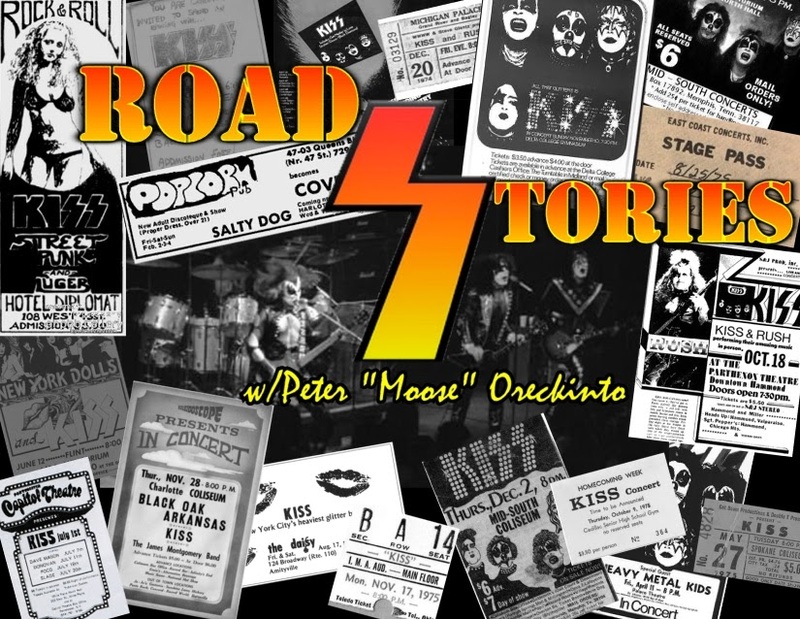 During our Conversation, Moose shares his recollections of the numerous acts that KISS toured with; including some heated exchanges with acts such as Black Sabbath and Lyrnyrd Skynyrd and even a knife fight with members of Aerosmith's road crew. We only get to scratch the surface in this discussion but there's plenty of interesting conversation about the early days of the Hottest Band in the Land. We thank Peter "Moose" Oreckinto for his time. It's truly an honor. Stay tuned for Part 2 and submit your questions through any of the contact methods below!